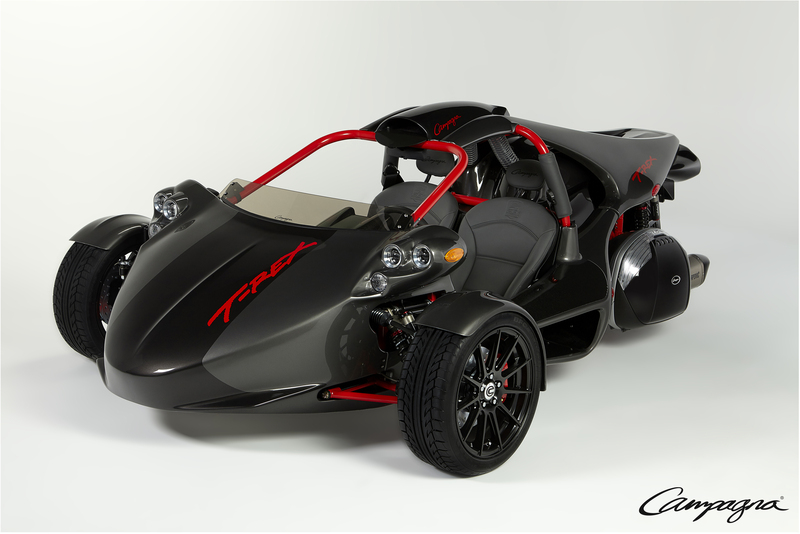 To celebrate the 20th anniversary of the T-REX, Campagna Motors is launching a BMW-powered limited anniversary edition. Only 20 units of the high-end model will be produced worldwide, each with a unique number between 01 and 20. “After 20 years, the T-REX is still the three-wheel vehicle of reference, thanks to our innovative approach, unparalleled styling, and the exciting, unmatched level of performance they provide. 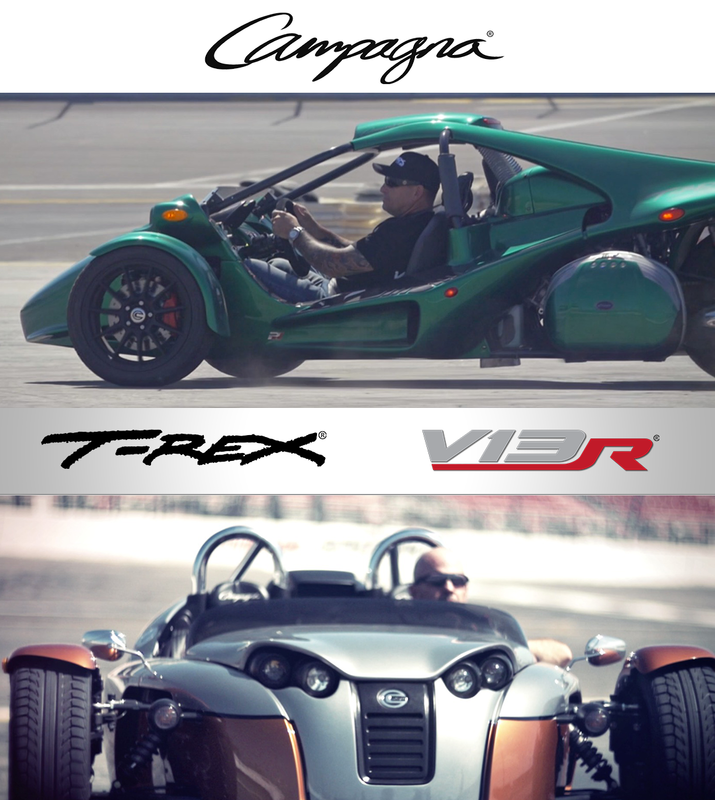 This special edition T-REX is a prime example of what I mean,” said André Morissette, president of Campagna Motors. The 20th anniversary special edition respects the essence of the T-REX by offering a one-of-a-kind high-performance limited-edition vehicle. This T-REX model is a real standout with its entirely red chassis, bodywork with distinctive two-tone design, black rims, leather-wrapped steering wheel and an authentic Campagna “carbon kit”. The T-REX 20thanniversary commemorative logo (in French in recognition of its Quebec roots) is permanently positioned to various key locations: laser engraved on the dashboard’s multi-controller button, on a special motor plate and embossed in the custom leather seats. This edition is powered by a 160-hp 6-cylinder inline BMW engine and features an adjustable Campagna Stage 5 suspension, a high-performance braking system and an engine plate with its own exclusive ventilation system. Suggested retail price is $69,999. The Campagna Motors story began in the late 1980s with Daniel Campagna’s vision of a comfortable street-legal vehicle delivering exhilarating acceleration and precision handling. Before commissioning renowned automotive designer Paul Deutschman to give a unique design to the frame, Campagna developed a vehicle with an amazing power-to-weight ratio and outstanding driving dynamics. The result was the critically acclaimed T-REX. Campagna Motors innovations have since then respected these fundamental principles.